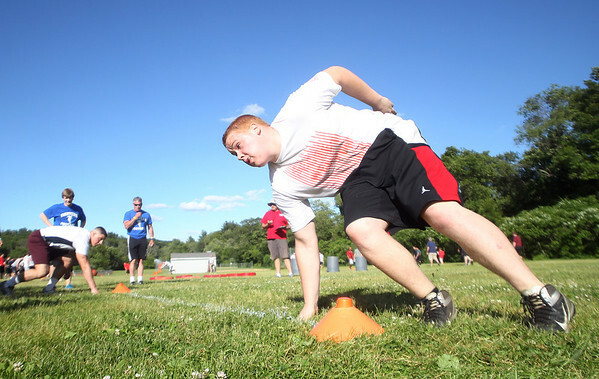 Danvers High School soon-to-be senior Drew Salvo rounds the corner on a drill during the Lineman Challenge at Masconomet Regional High School, a competition for local high school offensive and defensive linemen and run by Masco head football coach Jim Pugh. DAVID LE/Staff photo. 6/20/14.